The Lynx was the world's first fully aerobatic helicopter. In 1986 a specially modified Lynx set the current Fédération Aéronautique Internationale's official airspeed record for helicopters. The Westland 30 was derived from the Lynx as a civil utility helicopter, however it was not a commercial success and only a limited number were built. 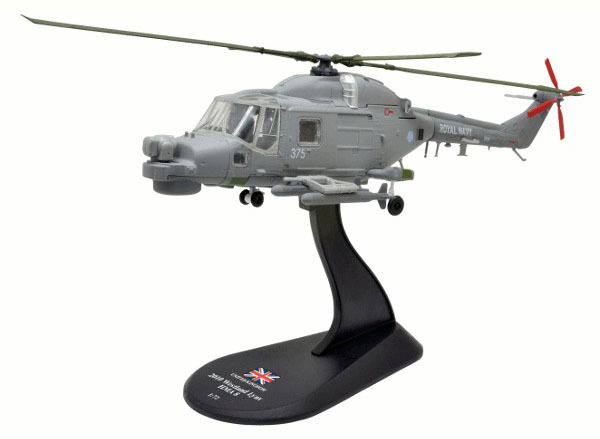 Upgraded maritime attack version based on Super Lynx 100. Gem 42-200 engines, BERP type main rotors and larger tail rotor of AH.7. Fitted with FLIR in turret above nose, with radar moved to radome below nose.